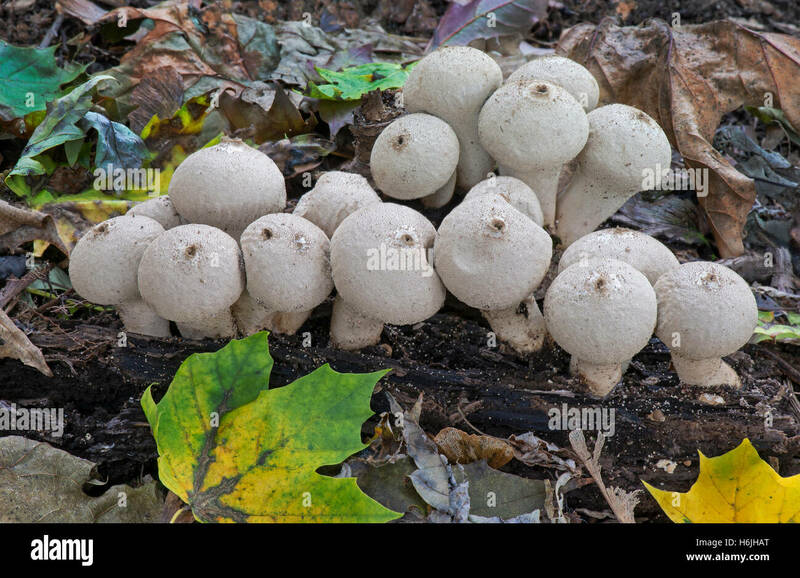 Common Puffball Mushrooms Lycoperdon Perlatum Autumn, Michigan USA by Skip Moody Dembinsky Photo Associates www.dpaphoto.com Often called "Poor Man's Sweet Bread", this edible mushroom is best enjoyed picked early, before the fruiting bodies darken and mature. As with any reference to the edibility of any mushroom, one should always take great care and caution before attempting to eat. This species enjoys nearly a worldwide distribution, particularly common and widespread in the Eastern United States.